← Corvair College #25, April 5-7 Leesburg FL, Part 1 of 3 updates. 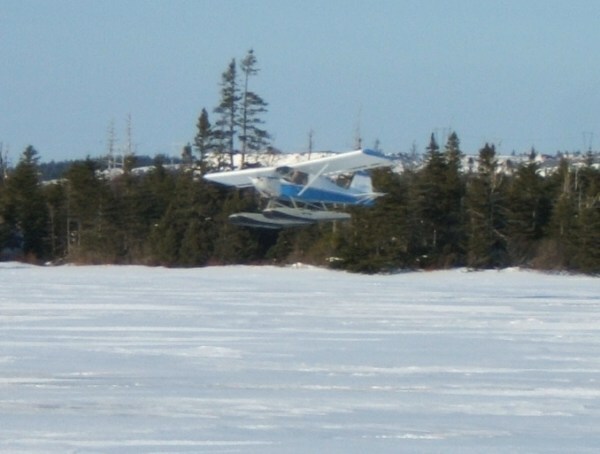 Jeff Moores, of Newfoundland Canada, who flies his Corvair powered Merlin on full lotus floats sent us a few more pictures of his bird in action. 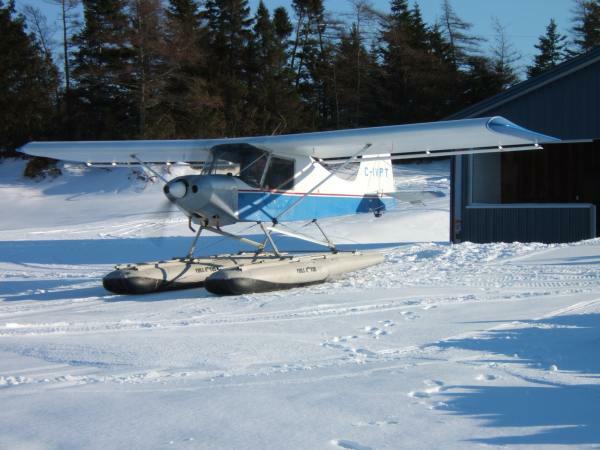 Not only does it fly well off water, Full Lotus floats also work well on snow. Jeff pre-heats the engine before starting, but the Corvair has no issue working in bitter cold. Jeff keeps the aircraft in a small hangar that is on the edge of a lake. Once frozen, the hangar is now on a very long runway. The photos came with the short note below. Outside the hangar. The aircraft has a 2700 cc /Dan bearing engine that Jeff built. It uses our standard nose bowl and stainless U-2 exhaust. The prop is a Warp Drive. The floats are made of inflated cells, the design is very versatile for this reason.